If you’re trying to lose weight, you’re probably paying close attention to what you eat. While that’s obviously important, you may also want to give some thought to what you’re drinking. Not only can the wrong choices get in the way of weight loss, the right choices can speed your weight loss up. 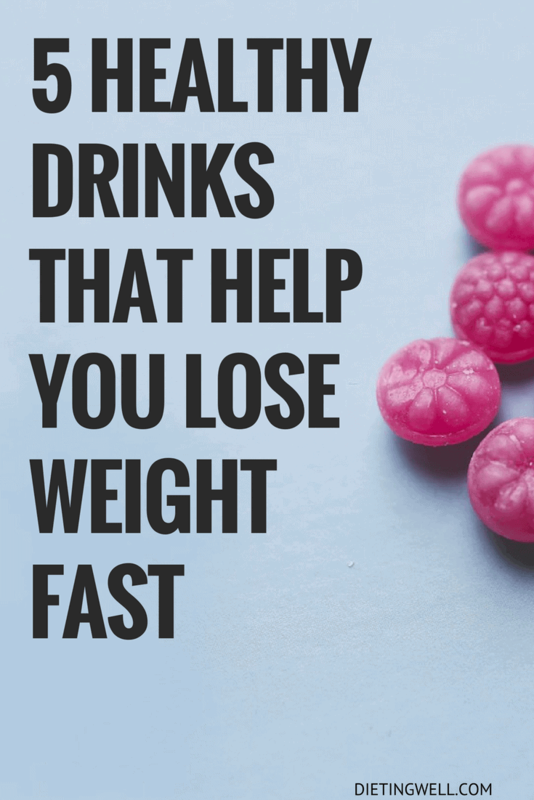 So, next time you’re hungry, skip the snack and give one of these five beverages a try for faster, easier weight loss results. Start your day right with a hot cup of coffee and reap the surprising benefits of this magical bean. Coffee helps you lose weight in a number of ways, starting with the appetite-suppressing powers of caffeine. Caffeine also gives you an energy boost, which will hopefully propel you into doing a morning workout. And caffeine may provide a small boost for your metabolism, where every bit counts. Weight loss isn’t the only benefit that coffee provides. Recent studies have found that drinking coffee every day may lengthen your lifespan. One study found that people who drank 3-5 cups of coffee a day were 15% less likely to die prematurely. There’s also evidence that drinking coffee lowers your risk for stroke and for Type II diabetes. To get the most benefit out of your coffee habit, take it black. Adding cream, milk, or sugar adds extra calories, and there’s even some evidence that non-calorie sweeteners can sabotage your diet by causing you to crave more sweets. If you can’t stand black coffee, add a soy-based creamer for some extra protein. When you want to unwind, consider adding a glass of red wine to your evening routine. One glass of red wine is usually about 125 calories, which sounds like an indulgence. But the benefits of drinking red wine regularly may outweigh the calories that it costs you, especially if you enjoy your glass of wine in lieu of dessert. Recent studies suggest that a chemical in red wine called resveratrol may help to change the composition of the fat in your body. Specifically, it may change white fat, which is the fat we’re all familiar with, to brown fat. Brown fat, which is usually created by time spent in freezing temperatures or fasting, actually raises your resting metabolism and helps you burn calories more quickly. More brown fat means more fat burnt every day. Some scientists are working to capture the power of resveratrol in a pill form, but for now, red wine is the easiest way to get it. Like coffee, green tea has caffeine, which will boost your metabolism and help to stave off hunger. However, green tea also has countless other benefits, some of which scientists are just now discovering. That’s because green tea is chock full of healthy polyphenols, plant-based antioxidants that fight cellular damage and make weight loss easier. Specifically, green tea contains catechins, a unique antioxidant that provides a number of health benefits. Researchers have found that catechins can lower high blood pressure and improve vascular health as well as possibly lower levels of bad cholesterol. While these benefits are indisputably good, new studies also suggest that the catechins in green tea may provide the weight-loss boost that you’ve been looking for. Researchers at the University of Maryland Medical Center now recommend that individuals looking to lose weight while drinking green tea consume 2-3 cups of it each day. Luckily, green tea is sweeter than traditional black tea. This means it’s easier to drink green tea without milk or sugar, making it a zero calorie treat with a proven track record of weight loss success. For much of the 20th century, nutrition experts recommend that people, including adults, regularly drink cow’s milk. Now, that advice seems outdated, and any benefits of cow’s milk are hotly debated. 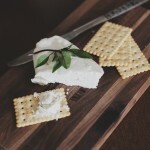 Instead of trying to decide between skim and low-fat, whole and unpasteurized, consider skipping the cow’s milk entirely and switching to soy for the benefits of milk without the downsides. Soy milk provides approximately the same amount of protein as whole milk but has no unhealthy saturated fats. It’s more satisfying than skim milk because it contains healthy unsaturated fats, which trigger that “full” feeling you want after eating. Soy milk has fewer calories than cow’s milk or other popular alternatives, such as cashew or coconut milk. Soy milk even has fiber, which helps you to feel full as well as improving digestion. You may have heard that soy increases levels of estrogen, but that claim has since been debunked. In fact, the phytoestrogens in soy may counteract the effect of dangerous hormones found in other foods. In 2010, scientists found that a diet that included soy led to a lower chance of obesity. So, if you’re looking for protein, calcium, and fiber, consider adding a splash of soy to your next cup of coffee or tea. Of all the beverages you could drink to lose weight, none will be more helpful for reaching your goals than plain old water. Water has zero calories, so you don’t need to worry about counting them. Water fills you up so you don’t snack mindlessly or overeat at one sitting. Water keeps your metabolism up and stops you from mistaking thirst for hunger. It also allows you to work out longer without getting tired, makes your skin look better, and gives you more energy. You probably already know how great water can be for weight loss but may be struggling with getting enough of it every day. One easy fix for this is to fill a large water bottle up in the morning and drink from it throughout the day. This will keep you hydrated and make it easy to get enough without stopping to refill your glass. You don’t have to suffer to lose weight, just make smarter choices and practice better habits. When you choose healthy beverages instead of unhealthy snacking you can watch the fat melt away without struggling. And that’s something worth raising a glass for!